Visit a museum, look at a miniature painting or a Bourne & Shepherd print and you’ll be struck by the sheer splendour of royal costumes of yore. Rich brocades, tiny jewel-like stitches, an unlimited vocabulary of motifs. Yesterday’s craftsmanship with its palette of warm, vivid hues seems to have given way to shoddy workmanship and the extensive use of machines. It is all too easy to assume that the embroiderers of yore have been laid to rest with the passing of an era. But for the efforts of a few individuals, that assumption would have been correct. 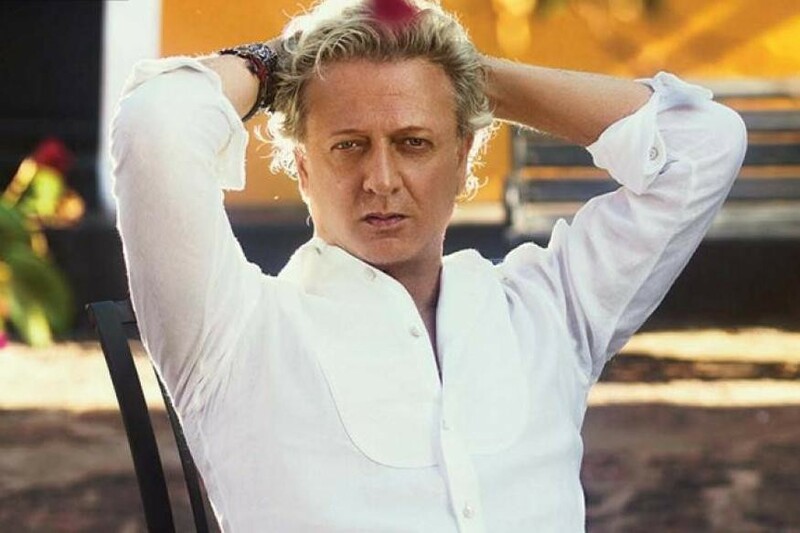 Rohit Bal is one such individual. 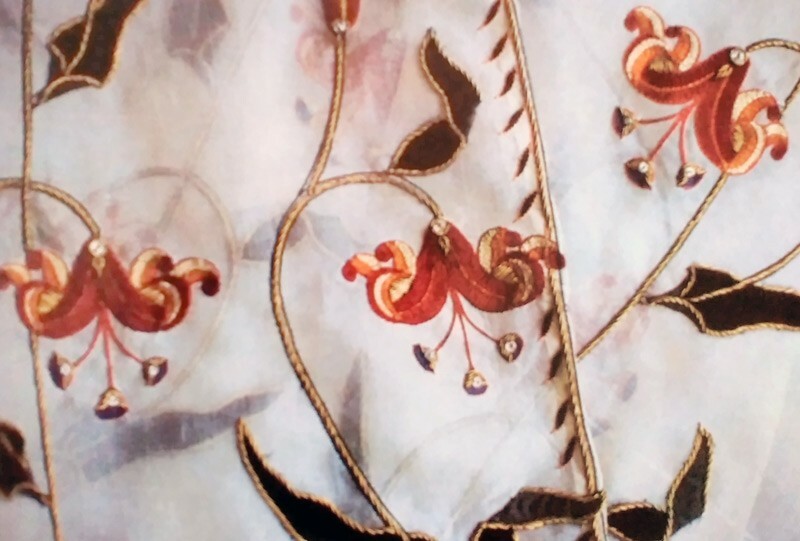 Having decided during his formative years that he wanted to be a star in the blazing firmament of fashion, his early works were characterised by minute attention to detail and an inordinate use of material. 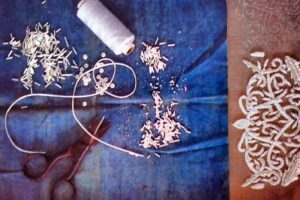 Where other designers used six metres of fabric to make up a salwar suit, Bal used 60. Along the way, Bal became interested in the use of embroidery to enhance a garment. At one fell swoop, the fashion world was taken by storm, and the art of embroidery jolted out of near extinction. At first, Bal was mesmerised by the courtly craft of zardozi. 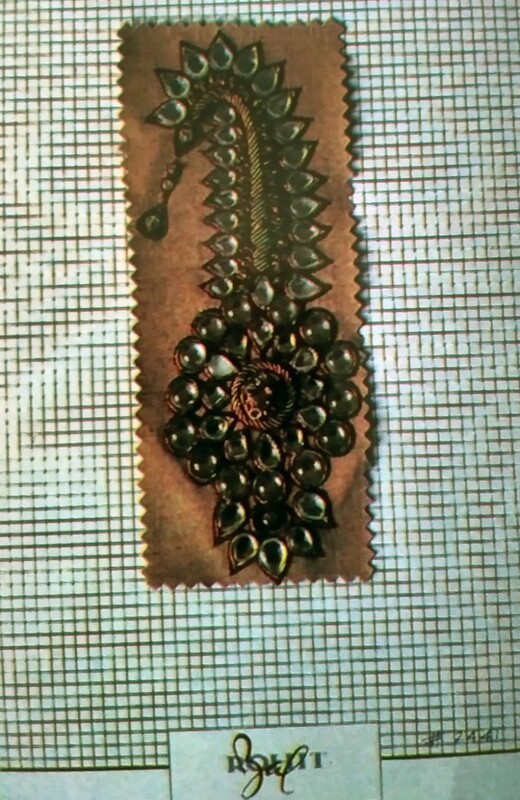 Ornate and dressy, zardozi was characterised by gold thread, gold-beads and gold twisted wire work. Though the craftsmanship and the potential it had, interested the designer its glitzy appearance was too far from Bal’s own area of interest. His creations are characterised by a cocktail of flamboyance and down-to-earthiness, the key to his own persona. Neither was he about to copy blindly, that which had been done before, even if the original had its beginnings in the Mughal court. 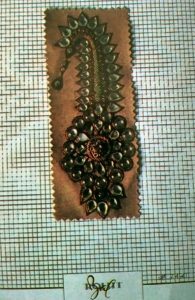 Accordingly, gold threads were burnished to give a dull patina, copper was used for twisted wire work, and voila! within the parameters of zardozi, a whole new look was born. Now, Bal’s inspirations have come variously from the pietra dura of the Taj Mahal, from Mughal art and from nature in Kashmir. 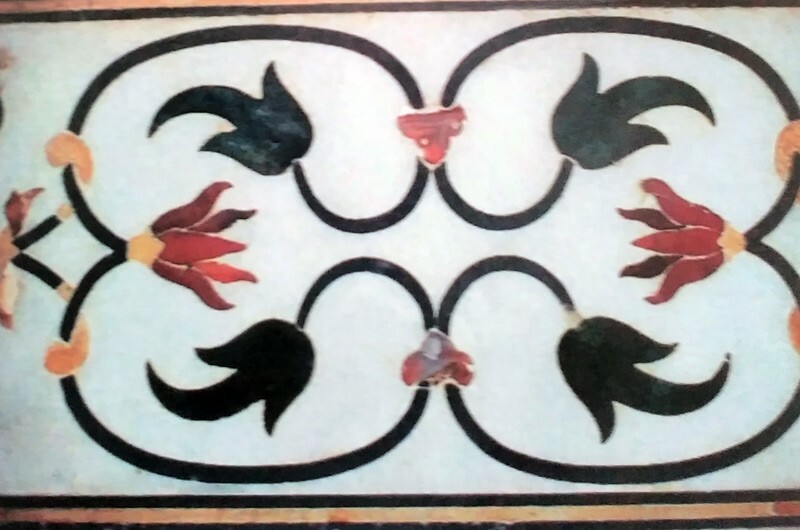 For the Taj collection, Bal has used the flowers as they appear in the mausoleum, even keeping the original colour scheme: a myriad shades of coral. The reason is that “doing anything different with the motifs would be like messing around with perfection.” The body of his work, on the other hand, is characterised by the inspiration being used as a point of reference. The Mughal line is a case in point. According to Islamic tradition, figurative representation was discouraged. 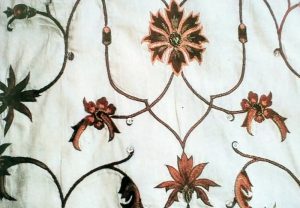 Therefore, art in the Muslim world makes extensive use of floral motifs and the arabesque or infinite design. The arabesque, a symbol of the infinite nature of God and the cosmos, has been worked in every possible medium since the inception of Islam – from tile work in mosques to papier mache designs in Persia. 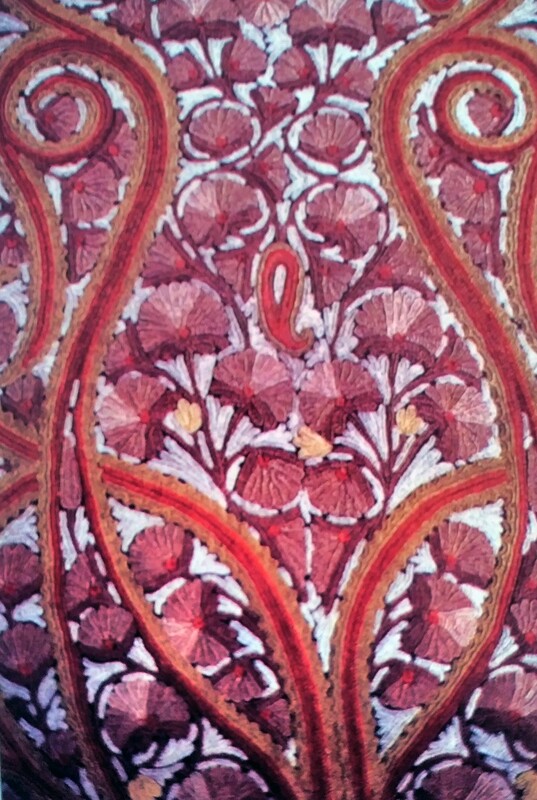 Mughal floral motifs use the arabesque as a network of stems connecting interspersed flowers to one another. Bal’s Mughal-inspired designs follow this framework of flowers set with arabesques — by no means an easy task when one reflects that most of the embroidery is done on sections of stitched garments. 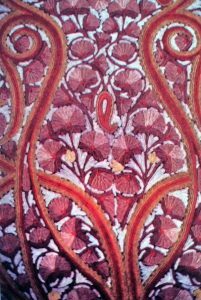 His colour palette too does not depart drastically from original Mughal designs, being chiefly crimson, the royal colour. Worked on textured silk in delicate shades of ivory, the designer seems to have achieved his ideal of creating contemporary classics. However it is his Kashmir collection which has given free reign to his imagination. Having been brought up in Srinagar, nature’s colours had burned themselves into his subconscious: the sparkle of light on the waters of the Dal Lake; a field of crocus in the first blush of dawn; an iris at twilight. When it seemed that Bal would never return to his beloved Kashmir, an old school friend came to him in dire straits. Moved to tears at his friend’s plight, Bal resolved to do a substantial amount of work in the Valley which would bring employment to a sizeable number of craftsmen. And thus the Kashmir collection was conceived. The designer’s credentials for the task were perfect, his unrelenting quest for quality, a strong sense of design, unwillingness to copy blindly, coupled with the fact that he grew up in Kashmir. Anyone with a less than intimate knowledge of the Valley would have been tempted into merely imitating the motifs so oft repeated by Kashmiri craftsmen. Bal’s symbiosis with the Valley has seen the creation of the less well-known aspects of Kashmir. 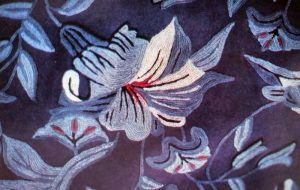 One ensemble, for instance, features irises against a slate-grey background. To all who know the Valley well, it suggests a storm brewing in the open countryside. Another outfit captures perfectly the Dal Lake at dawn, with golden rays picking out water hyacinths. Bal’s use of embroidery has certainly won him accolades, but the inordinate amount of planning is a logistical nightmare. For one thing, expensive fabric has to be tailored months in advance and sent across the country into the hands of craftsmen who have little notion of deadlines. Over time, the designer has evolved an almost foolproof method of starting work on a collection eight months before time, stationing a network of employees at each of the centres – Bareilly, Rampur and Srinagar, to see to the day- to-day progress and provide each craftsman with a detailed list of which colour is to be used where. Rohit Bal is assured of his place in the history of India’s embroidery. It’s a place he wants to share with his team of craftsmen.